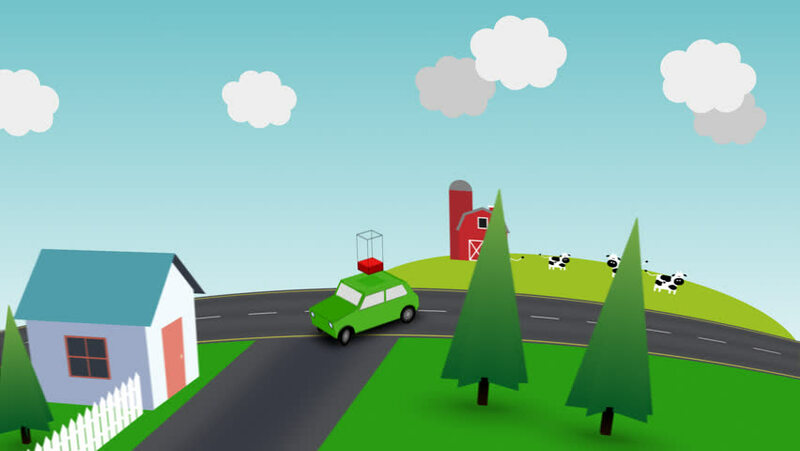 Loopable color animation of a red car travelling from the city to the country as its power gauge slowly drops, until the car returns home to recharge. hd00:27Loopable color animation of a red car travelling from the city to the country as its power gauge slowly drops, until the car returns home to recharge. 4k00:08Cartoon: School bus drops students off in suburb. hd00:30SAINT-PETERSBURG, RUSSIA - SUMMER, 2013: Airfield planes. Train cars with Luggage on the runway. hd00:10Car driving on a rural road. View from above. Looping video. hd00:10Delivery service of goods in town video concept. Courier carries package. Man with box on scooter rides through the street of the village looped animated. Flat 3d isometric design animation.